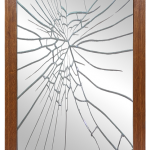 Your mirror is one of the most fragile things you can own and when moving, there’s a lot of mishaps that can affect it. However, with a mirror box, you might just be able to save it. The very first step here is to make sure that you have the best supplies for you. This means that you need to invest in packing materials that are of the highest quality. If you are looking to pack a mirror without causing any form of damage to it, then you’re going to need materials such as tape, moving blankets, corner protectors, a mirror ox, Styrofoam, etc. While all these might seem a tad excessive, the truth is that each of them has a role to play in ensuring that your mirror is moved safely and that it is not damaged while in transit. Also, this is quite expected, especially considering the fact that mirrors can be very fragile. Just make sure to get what you need now so you don’t have to buy a new mirror when you get to your destination. You might not know it, but putting an “X” on your mirror can really save it. Stretch masking tape on the long side from one end to the other and then repeat on the other side. Do not let the tape sit too long or it will be sticky to peel off. Also, in the event that the glass does get damaged, the damage will be contained and won’t get to the frame, meaning that you’ll just have to replace the glass and not the whole mirror. A mirror is more than the glass. You need to worry about the frame of the mirror as well, and they’ll also need some protection of their own. Place corner protectors on each corner to protect the mirror from cracking or shattering. However, if the mirror is more curved, then you will have to use bubble wrap on the odd-shaped edges. Measure your mirror, then use a Stanley knife to cut out what you need. From there, place cheap cardboard boxes over the surface and fix it up with some tape. Styrofoam foam wrap rolls come in different lengths and widths so choose the right product for your mirror. You can now wrap the whole thing in bubble wrap or moving blankets. A mirror box offers various advantages. It makes the mirror easier to lift and provides a tight fit that prevents bouncing and collision damage. However, make sure to get one that is perfectly measured to your mirror. It will be able to protect the mirror from bumps or wall grazes along the way. When you put a mirror on its front or back, you’ll be putting too much pressure on the glass. To ensure a proper and safe journey for your mirror, make sure to place t upright and ensure that there’s nothing near it that can easily fall and topple it.